This site provides links to Earth and space science news articles from a variety of outlets and journals. Sources featured on the site must be freely accessible to online readers and are ranked by the editors based on reliability, timeliness, extent of coverage, multidisciplinary coverage, follow-up, and presentation. 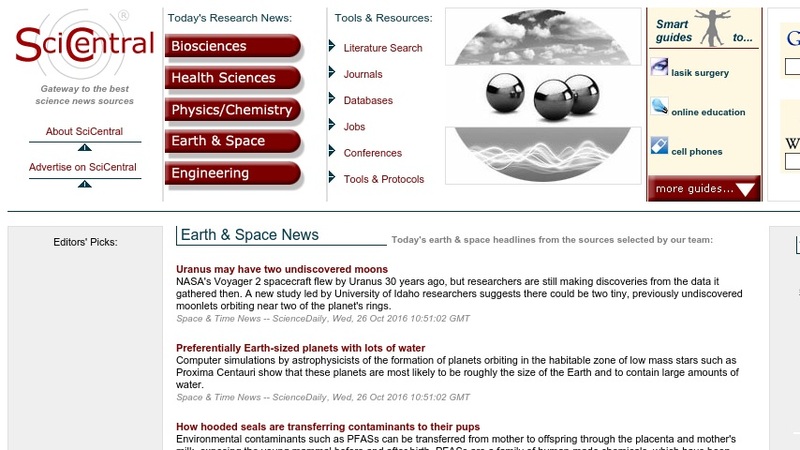 The main page features links to the day's headlines, a listing of the editors' top five resources for Earth and space science, and access to a selection of tools and resources, including a literature search; online tools and references such as unit conversion tools, links to U.S. and European patent offices; and links to journals and databases, career information, and conferences.